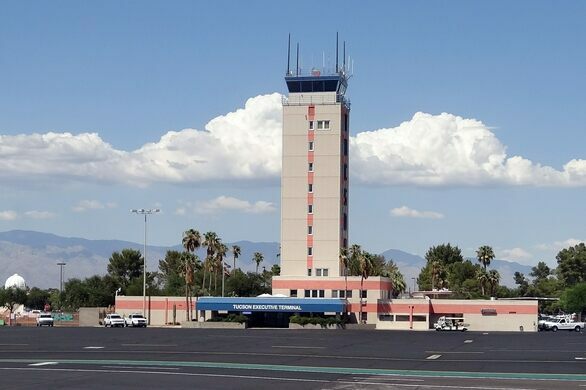 Opened in October 1958, this handsome air traffic control tower at Tucson International Airport has greeted travelers, visitors, and residents returning to this scenic Sonoran Desert city for more than 50 years. 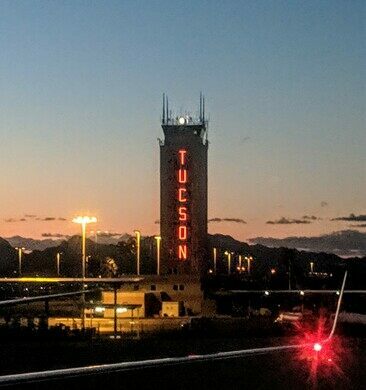 Standing 123 feet tall, the tower’s most iconic feature is the 10-foot, blue and white letters that vertically spell out “TUCSON” on two sides of the structure, illuminating in neon orange at night, as well as the pinkish-red stripes that decorate the four sides of the structure. In September 2016, after being in service for nearly 58 years, the stylish midcentury tower was retired from air traffic services and replaced by a new, 252-foot-tall control tower situated elsewhere on the airport property. But the original tower remains standing, now a beloved local landmark. Today, the iconic tower, along with the similarly styled midcentury hotel that stands adjacent to it, has been preserved for offices and other uses, and is clearly visible from many parts of the terminal building. 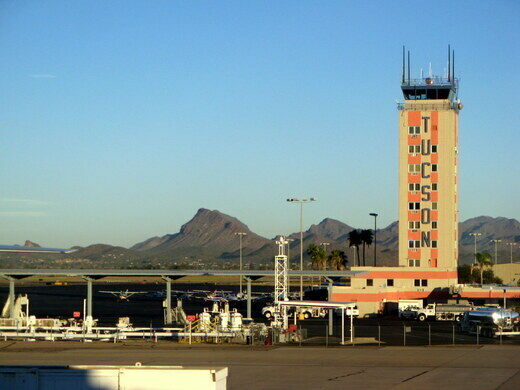 To anyone visiting Tucson by air, the historic airport control tower is a treasured and admired architectural landmark. 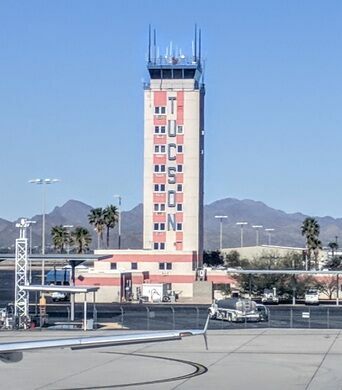 The tower can be seen from the Tucson International Airport terminal. As with any airport property, please heed and abide by all security and no trespassing signs.